Working with the landowner Doll Moss beck has undergone some exciting restoration work. 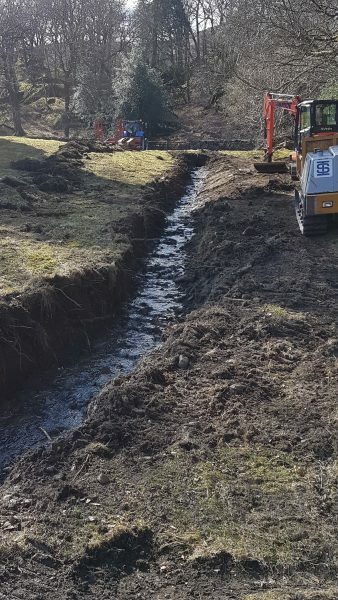 A 75 metre length of culvert was opened up and a new 50 metre channel added to join up with the existing stretch of beck. The culvert was graded at the edges and redirected to suit the topography of the site. 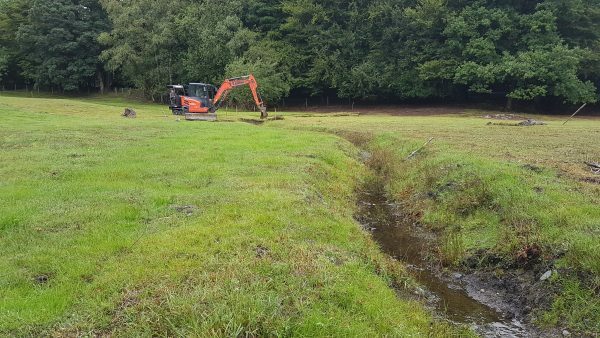 This will improve the river habitats for spawning fish and for freshwater invertebrates. Reconnection took place in August 2018. 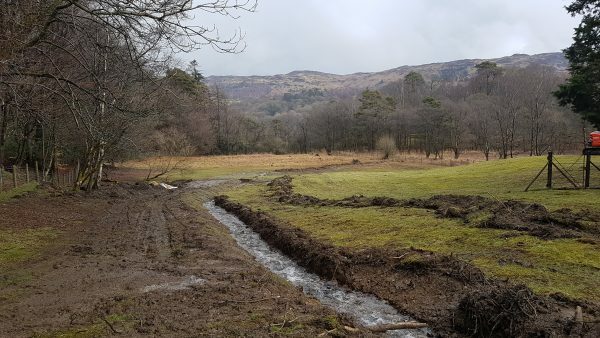 The site will be monitored over the coming weeks then regular survey work will take place, eventually the site will become part of the Riverfly monitoring.